Modern technology, craftsman quality. We’re an interactive design and technology architecture firm matching the most experienced consultants in the industry to the most challenging business and technical problems facing our clients. We seek to understand your business strategy and technical foundation to craft modern applications that holistically blend strategic vision, creative design, architecture, and innovation, to exactly meet your needs and ensure your success. 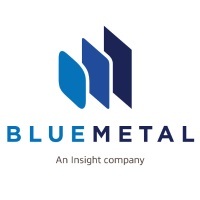 On October 1, 2015 BlueMetal was acquired by Insight Enterprises as a wholly owned subsidiary.